Two Step Fresh Peach Pound Cake Recipe is rich, moist and full of fresh, sweet peaches. Peach Schnapps also gives this pound cake a lot of boozy flavors! 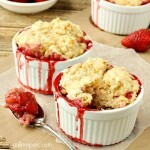 I’ll be the first to admit that I was skeptical of this recipe. 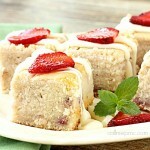 I found it in Southern Living and wanted to try it for my pound cake series. What are the Two Steps? This recipe specifies layering all the ingredients in the mixing bowl in a certain order and mixing them. There’s no creaming the butter and sugar, no adding the eggs separately and no alternating the dry and liquid ingredients. You simply dump all the ingredient in the bowl and mix. 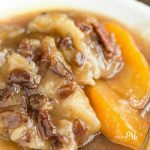 The second step in this Two Step Fresh Peach Pound Cake Recipe is simply folding in the fresh peaches. All you have to do now is wait while it bakes if you can. That’s the hardest part! The cake was rising tall and fluffy when I peeked at baking. 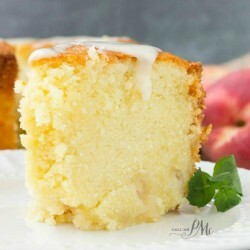 When I tasted the first bite, this Two Step Fresh Peach Pound Cake Recipe was buttery, moist and tasted like peaches! 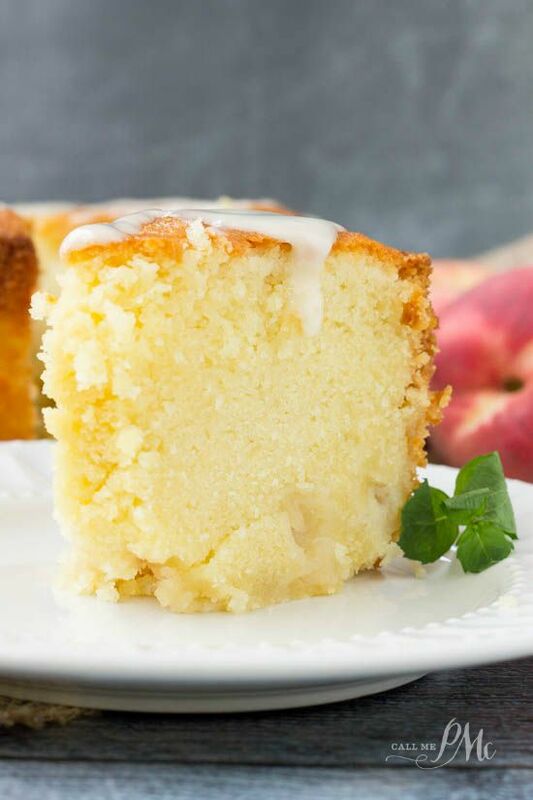 In the spirit of full disclosure, because of the 1/2 cup peach schnapps in this Two Step Fresh Peach Pound Cake Recipe, this cake definitely has a boozy smell and flavor. Of course, the alcohol cooks and you’re just left with the essence, but that essence if very noticeable! If you are not an alcohol fan, you can use 1 cup buttermilk and omit the peach schnapps. 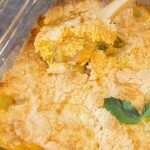 Your Two Step Fresh Peach Pound Cake Recipe will have a slightly less noticeable peach flavor. 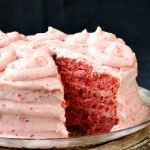 I drizzled my cake with a cream cheese glaze, this is optional. I do like the extra little ump it gives the dessert though. 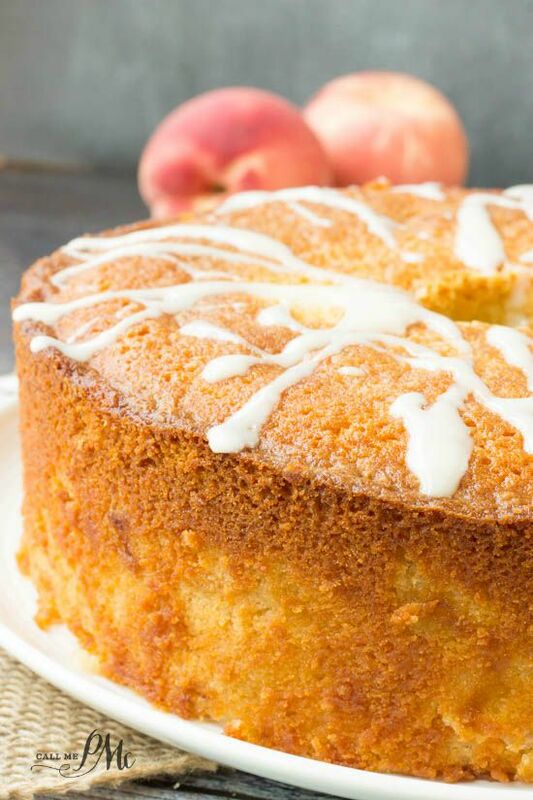 Two Step Fresh Peach Pound Cake Recipe is rich, moist and full of fresh, sweet peaches. 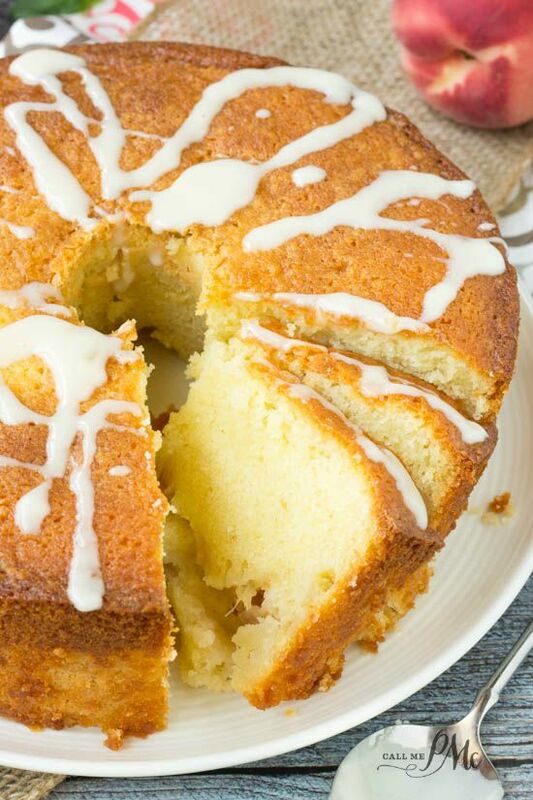 Peach Schnapps also gives this pound cake a lot of boozy flavor! Spray a 10-inch 16 cup tube pan with non-stick spray. In the order listed add flour, sugar, butter, buttermilk, peach schnapps, eggs, and vanilla to a 4-quart bowl of an electric mixer. Beat at low speed for 1 minute. Scrape the sides. Mix another 2 minutes at medium speed. Pour into the tube pan and bake 1 hour 25 to 1 hour 35 minutes, test cake with a wooden pick for doneness. The cake is done with no crumbs or dry crumbs are on pick. 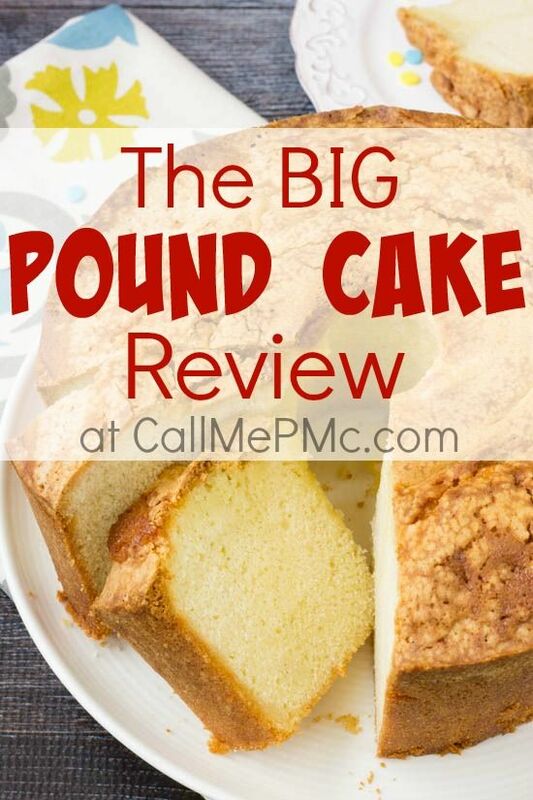 Of all the Pound Cake Recipes I’ve reviewed, this is one of my very favorites. It’s super moist without being oily. It has a vibrant peach flavor due to the peach schnapps and fresh peaches. Did you know that most of the ‘flavor’ in food comes from the aromas in the nose rather than the tastes in the mouth? Therefore, the peach schnapps also provides a distinct ‘flavor’ because of it’s a strong smell. Don’t me wrong, it’s not an over-powering smell, it just more prominent than any of the other flavor in this Two Step Fresh Peach Pound Cake. Has anyone actually tried this? It came out as a huge fail for me. I wondered if there was a typo in the measurements. Way too much liquid. Never set up as cake-like. More like a cobbler. Hw long do you let it cool in the pan before releasing?